Springtime in San Luis Obispo is known for beautiful weather, long beach days , and plenty of beer and wine festivals. With new festivals happening every year, it can be overwhelming to choose what you want to do. We have put together this guide to help guide your decision! Known for setting the pace for good times, good vibes, and good wines the annual Roll Out the Barrels is celebrating 25 years! The entire month of April through the first weekend of May will offer numerous winery activities. Each week there is a different theme including “Taste the Coast,” “Farm to Fork” and “Sustainability & Heritage.” Get the opportunity to meet the people behind the wines and learn about the wine-lifestyle of this region! Find the events here. California Festival of Beers takes place Memorial Day weekend with dozens of breweries attending from around the world. For those who didn’t know, Beer Fest continues to sell out each year, benefiting the Hospice of San Luis Obispo County (Hospice SLO), a non-profit grief counseling organization, that receives all of the proceeds. 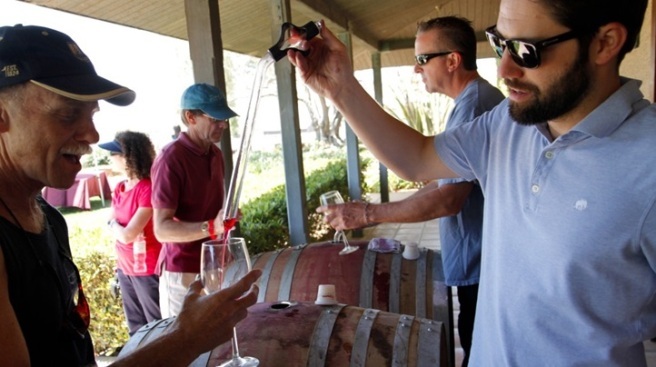 Join Paso Robles Wine Country for the 33rd Annual Wine Festival- a celebration of the innovation, triumphs, and character of the spectacular region, May 14-17, 2015. Choose from Winemaker Dinners, RESERVE events, the Grand Tasting, or all three. The Grand Tasting takes place in the downtown park, located directly across from the Paso Robles Inn. Visit http://www.pasowine.com/events/winefestival.php for more info and to purchase your festival tickets. Looking for lodging for any of these festivals? Want Avila Beach lodging? Try the Avila Lighthouse Suites.